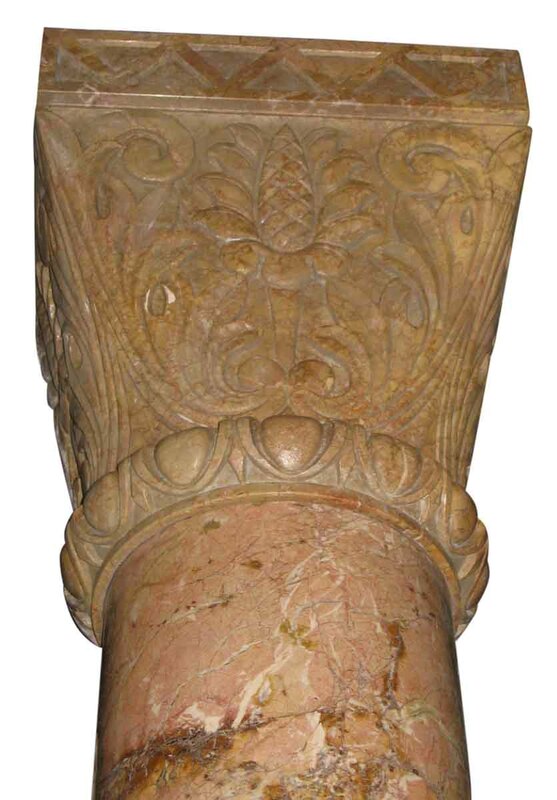 Pair of marble half columns complete with the decorative carved top piece and black marble base. 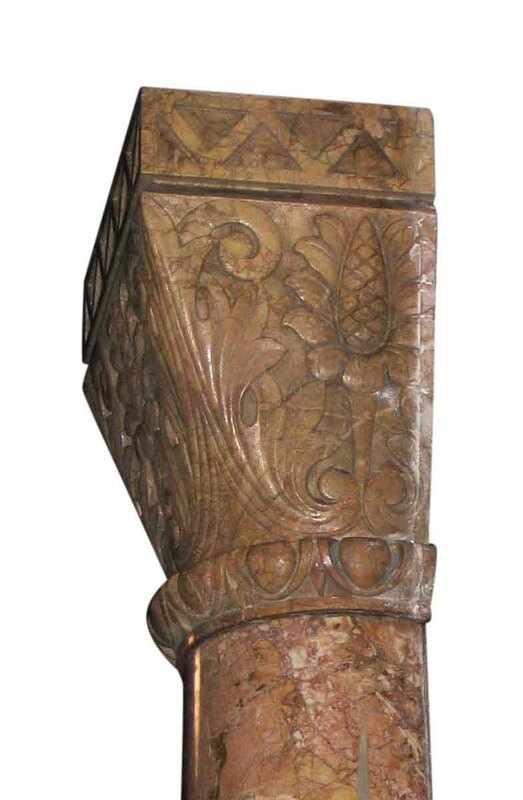 The back of the columns are flat and would be flush against the wall. Priced per pair.